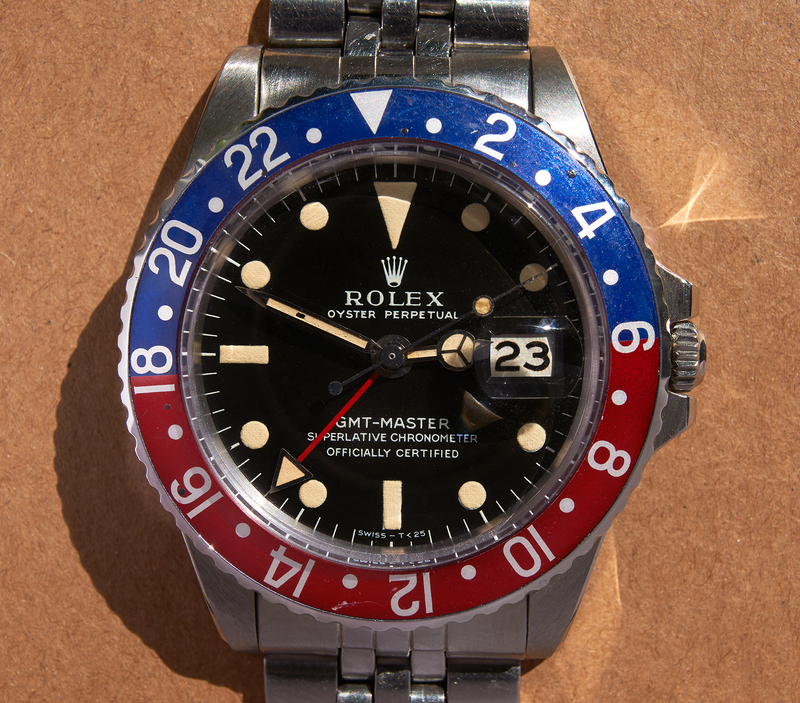 Rolex 1675 GMT Master "Long E"
Very charming Rolex 1675 GMT Master from 1969. 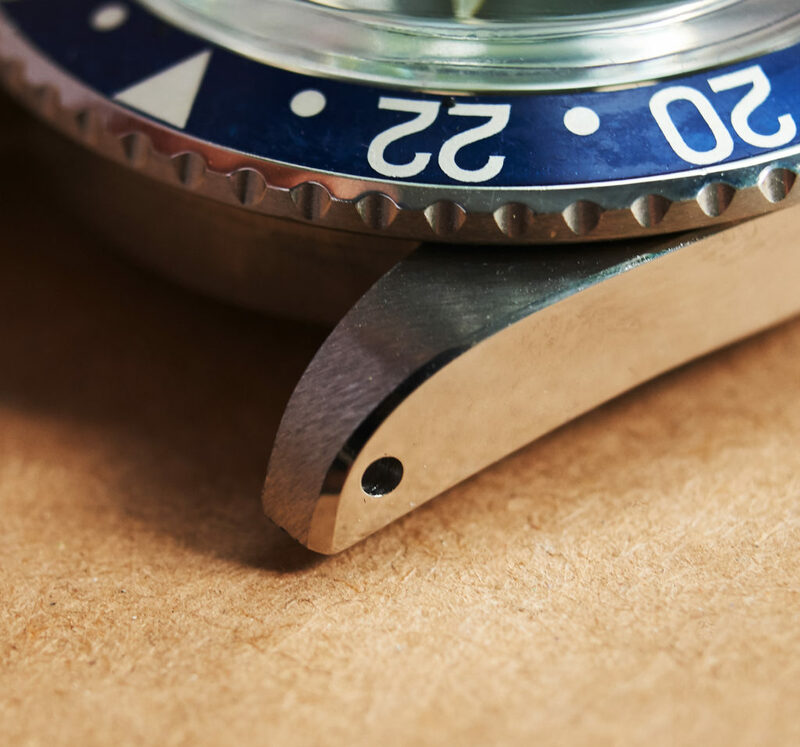 This first version of the matte dial 1675 („Long E“), has a 100% flawless tritium dial with beautiful matching cremetoned tritium hands (the original set). 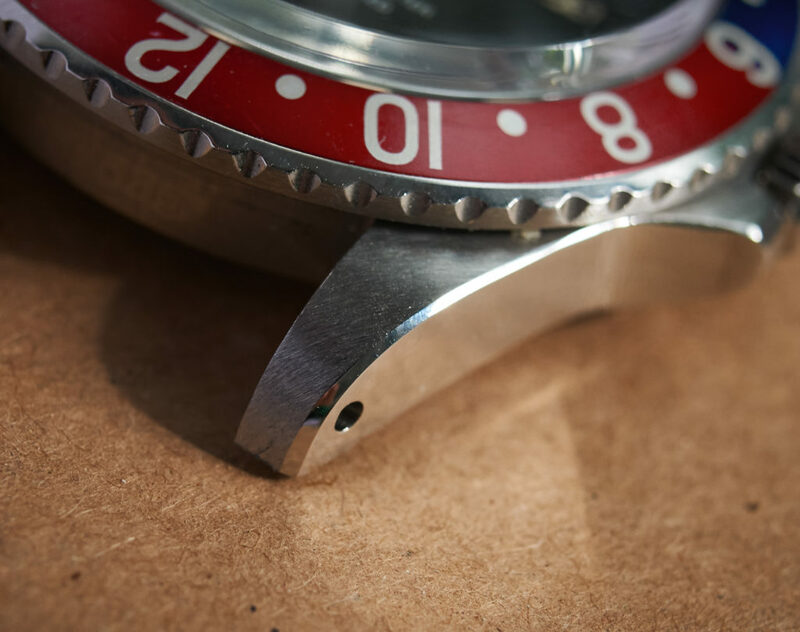 It´s early case with clearly readable numbers (serial 196xxx) is in great and supersharp condition. 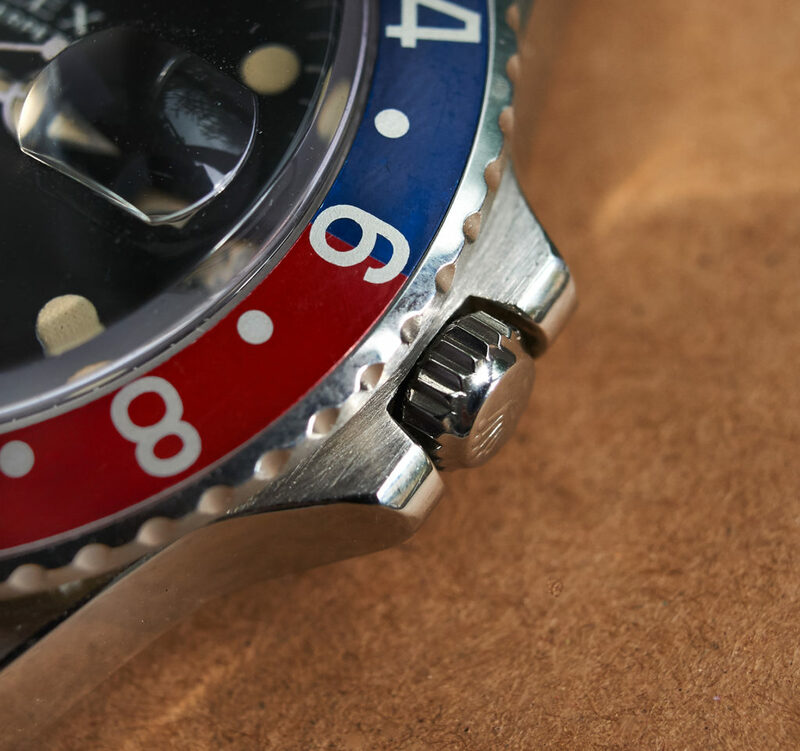 The authentic datewheel has the hooked 7 as it should have, and the redback bezelinsert with fat font has faded into a fantastic royal blue and lightred tone. 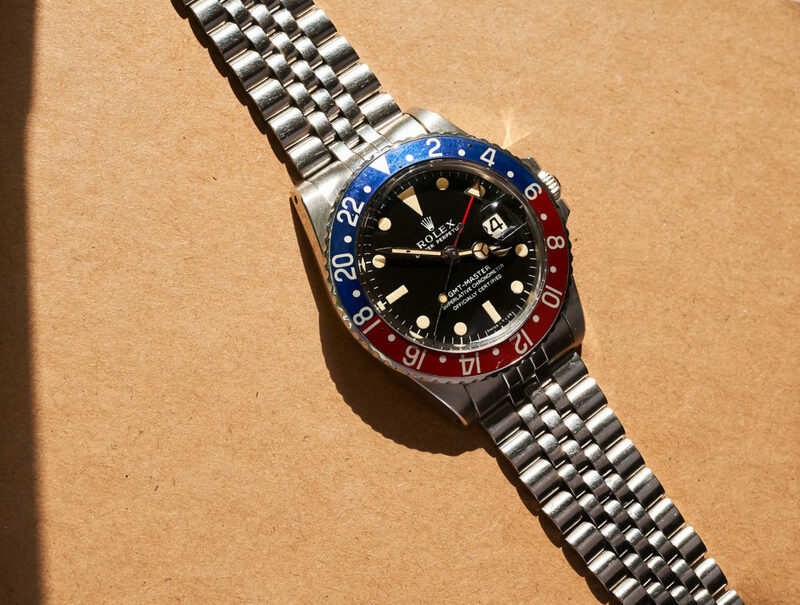 The 1575 Rolex movement was checked through and is running strong and exactly. 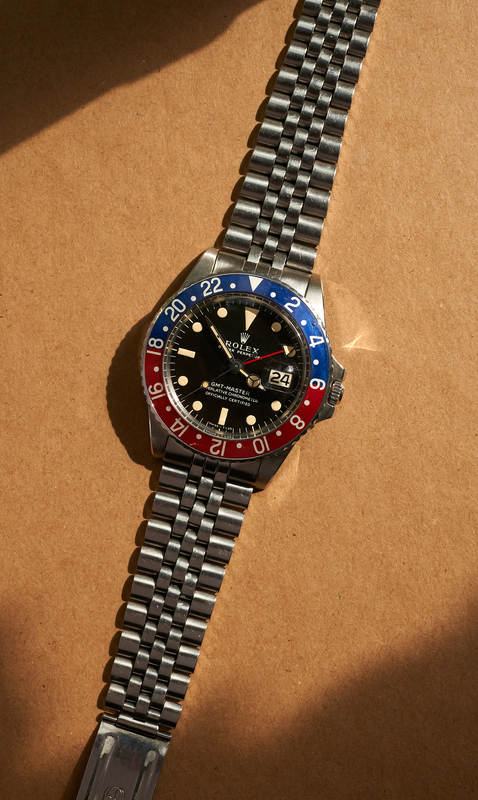 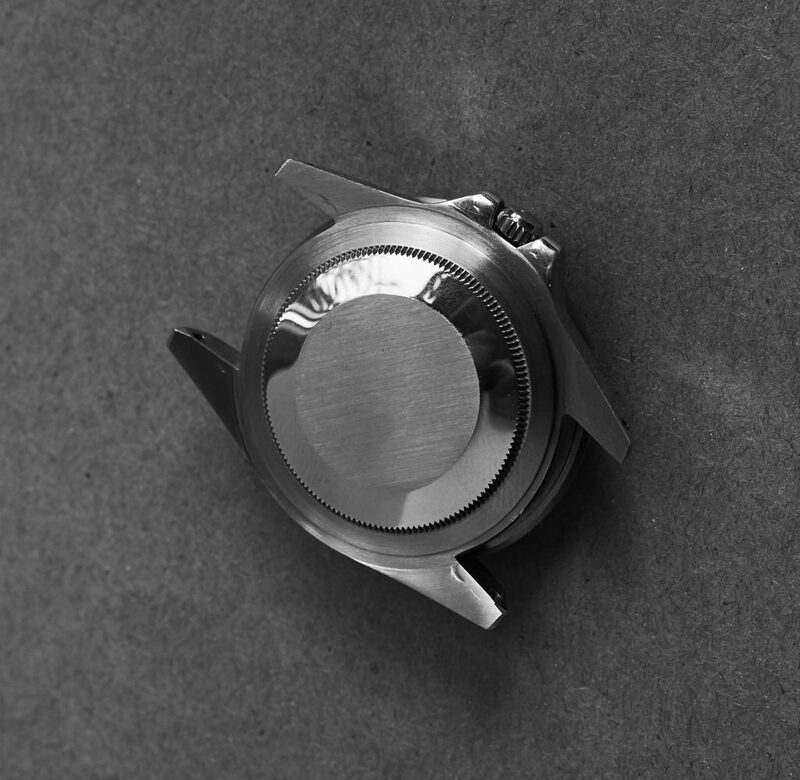 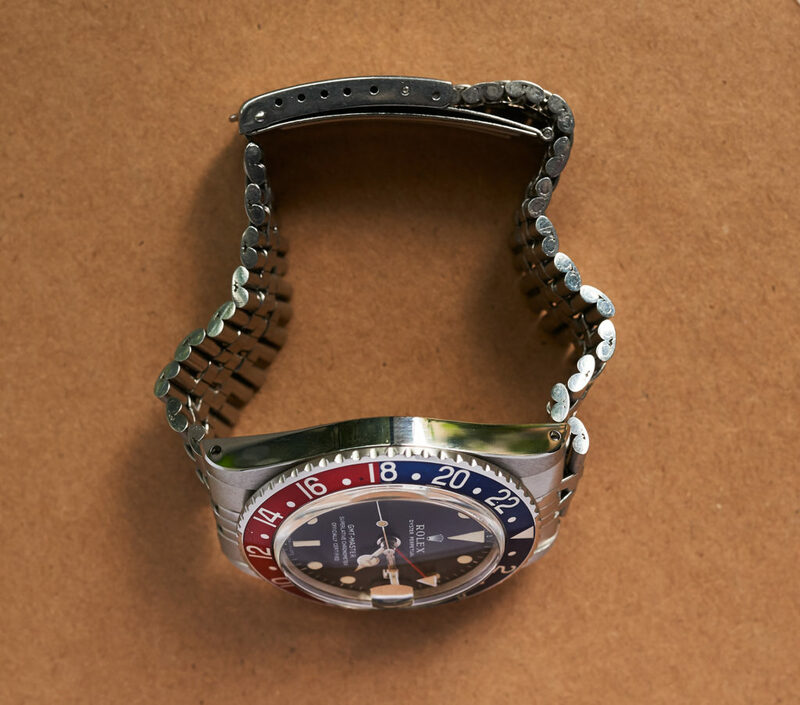 This beautiful GMT comes on a folded Rolex Jubilee bracelet from the same timeperiod.